Over the last 7 days, the Greater New York Red Cross provided emergency assistance to 114 adults and 30 children following 30 local disasters. Here are some highlights from last week and a preview of upcoming activities (see below). Red Crossers provided support following last night’s fire in New Rochelle. Volunteers have met with three residents and provided them with immediate assistance. Red Cross CPR and First Aid instructor Lipica Shah was featured on The Weather Channel’s Weather Red Report on Sunday to talk about summer safety. New York roller derby leagues kicked off their “Blood for Life” campaign on Saturday. “Blood for Life” is a weekly blood drive. The Red Cross gave a presentation to the New York State Chaplain Task Force in Staten Island to increase volunteer recruitment. The Home Fire Preparedness Campaign was in Farmingdale, Long Island this Saturday. Thank you to Mira USA and all our other volunteers for helping install 309 alarms! Red Crossers were represented at the Town of Babylon’s 9th Annual Solider Ride to support wounded soldiers.Long Island Red Cross CEO Neela Mukherjee Lockel rode the 25 miles to support soldiers and represent the Red Cross. 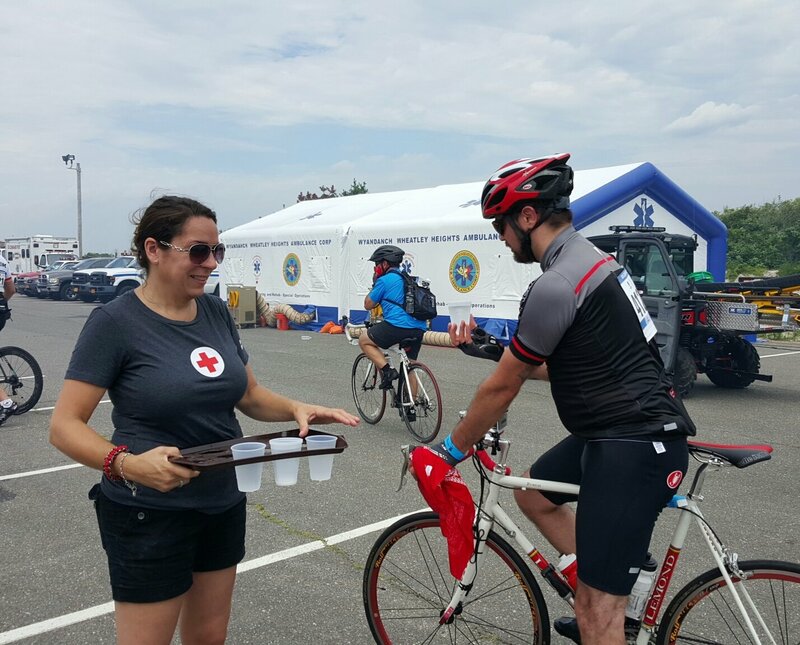 The Red Cross Client Services team helps victims of disasters as they recover from tragic events like home fires, floods and other emergencies. Thursday we released a blog post that gives a little more insight into how the groups is able to help. In response to the Pokémon Go craze, the Red Cross released safety tips for players on Thursday. All week, Red Crossers shared their thoughts, stories and photos from their deployment to West Virginia where they are assisting in relief efforts following the state’s historic and destructive flooding. These same individuals took over our Instagram account. July 19, 21 & 22: Red Cross blood drive: 1 to 7pm: 520 West 49th Street, Manhattan. Schedule an appointment to donate today. July 23: #GetAlarmedNYC is coming to Lower East Side, Manhattan. Volunteer to help out, or sign up to get a free smoke alarm installed in your home.